Entrepreneurs’ schedules can be demanding. They have to sometimes travel on a day’s notice. Long flights leave us drained and lethargic. I’ve been traveling for 35 years now and had more than my share of plus 12-hour flights and red-eye flights. It wasn’t easy, but I’ve learned a lot. While you wouldn’t think it, one of the most important jobs I have as a productivity consultant involves me helping clients feel better. My mentor, Jim Rohn, put it this way, “Some people don’t do well because they don’t feel well.” That made me think, and why I’m always looking for new and creative ways to help clients reduce stress and free up time. Traveling is an art. To arrive at your destination rested and relaxed takes a lot of experimenting and figuring out what really works. So go grab your smartphone and open notes. Trust me, you’ll want to have these hacks handy before every trip. Invest in a good pillow. Take it from someone who has flown a lot, for flights longer than 6 hours, rest is absolutely critical to feeling energized upon arrival. Do yourself a favor and invest in a good neck pillow. I’m a big fan of the Huzi Infinity Pillow and the Noyoke Japanese-style travel pillow. The key word when buying a neck pillow is support. Take some fresh fruit with you (my personal favorite). On a whim, I told my wife to bring them with us to eat on the plane (bringing fresh fruit into another country is a no-no). Eating these transformed our flight giving us a huge boost in energy allowing to arrive energized at our destination. Now it’s a must for me for every flight. I honestly can’t recommend this tip more highly especially for entrepreneurs looking to get work done on the flight itself. In case you’re wondering we’ve found that the best are grapes, cherry tomatoes, apples, and strawberries. Buy what you need when you get there. This was taught to me by one of my mentors, Sohail Khan. Too often people bring things they don’t need and what clothes they do bring get smushed in their suitcase. There have been times when my dress shirts smelled of cookies or cologne due to a broken bottle or popped bag. Do yourself a favor and leave the cologne and dress shirts at home and pick up a few dress shirts at H&M at your destination. Looking to score yourself an upgrade? Or perhaps some new business? It’s amazing what a good suit and a nice smile can get you. One client told me years ago that he signed up two clients on his way to a conference simply because of his attire. A two-hour flight could turn into a two-hour sales pitch in the right circumstances. For entrepreneurs who need to get in and out quickly. Save yourself time and trouble and pack just enough for two or three days. That way you can fit everything in your carry-on. 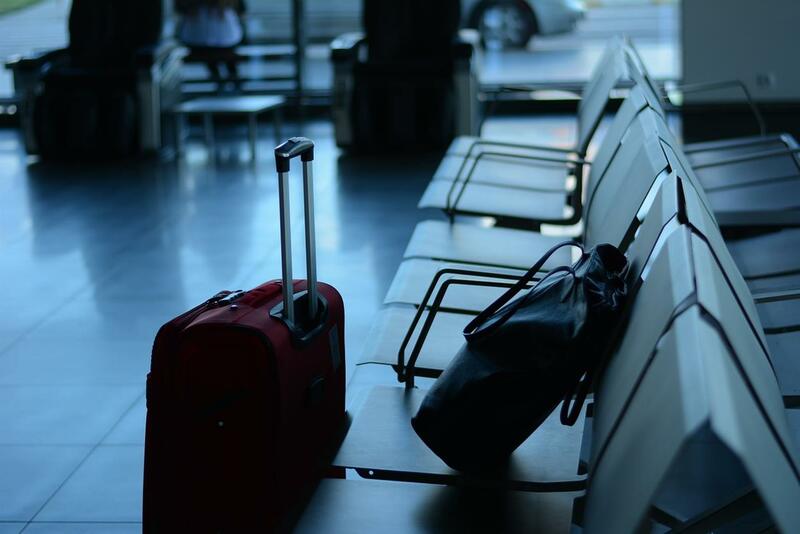 No check-in means less waiting and no hassle when you arrive. For casual clothes you bring with you, roll them. It’s a great way to save space. Brian Tracy, one of the leading management experts in the world, flys a lot and he taught me this years ago. It’s easy to get dehydrated especially on long hauls. Ask the flight attendant to give you two whole bottles to save them having to keep coming back to give you a refill. Your body will thank you. Thanks to the internet we can simply do everything online. Many years ago one entrepreneur told me to always call hotels ahead of time to make sure they have a room that you want and you won’t have any surprises. Most people leave this to chance and it becomes a hit-or-miss trip.